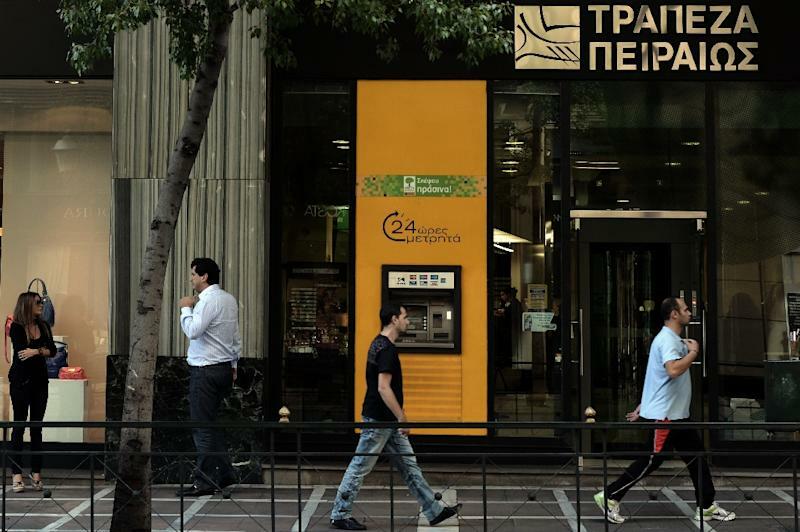 Athens (AFP) - One of Greece's largest banks says it will wipe away the debts of clients who owe up to 20,000 euros ($21,600) in a one-off gesture to ease the burden on its crisis-hit customers. The Bank of Piraeus decided to write off or restructure debts in response to the "humanitarian crisis" through which its poorest clients were living, the company said in a statement. Debts of up to 20,000 euros linked to credit cards and consumer loans would be written off completely, it said, while mortagage payments would be frozen and any associated interest forgiven. Several bank bosses have left their posts since Greece's radical left Syriza government came to power in January, with Piraeus a notable exception. Clients must already be enrolled in a newly-launched government benefits scheme to be eligible for the debt relief. Syriza pushed new social safety net legislation, part of the platform on which it was swept to power, through parliament last month despite pressure from the EU to drop the measures. It also includes housing support and subsidised food purchases to aid those who have fallen into poverty as a result of the EU-IMF austerity measures imposed on the country. Greek banks are in desperate need of liquidity, with account holders withdrawing 25 billion euros between early December and late February on fears about Greece defaulting under Prime Minister Alexis Tsipras' government. Greek banks are largely dependent on the ECB for financing, but the eurozone's central bank no longer accepts Greek sovereign bonds as collateral for loans. Despite two bailouts worth up to 240 billion euros, six years of recession has wiped out a fifth off the Greek economy with many people being thrown out of their jobs or seeing their wages slashed. The Greek government is currently locked in tense negotiations with the EU and IMF on a list of reforms it must carry out to unlock the remaining 7.2 billion euros of bailout loans.